It's said that in life, the behavior of animals and humans are morphed by the influences of nature and nurture. Asking which factor influences a dog's behavior the most, the infamous nature versus nurture debate remains a trivial subject. Does a dog behave in the way he does because of his genetic baggage or its experience? This is almost as if asking ‘Which is more important in determining the area of a rectangle, width or length?’” claims Paul Chance Ph.D. in Psychology and author of the book ''Learning & Behavior." He adds: "The two are inextricably intertwined and trying to separate them will not serve any particular purpose.All forms of behavior reflect a blending of nature and nurture so complex and intricate that it's impossible to say where one begins and the other ends." Researcher and science writer Robert Sapolsky also agrees on this. Indeed, he succinctly claims: "No heredity. No environment. Only the interaction between the two." 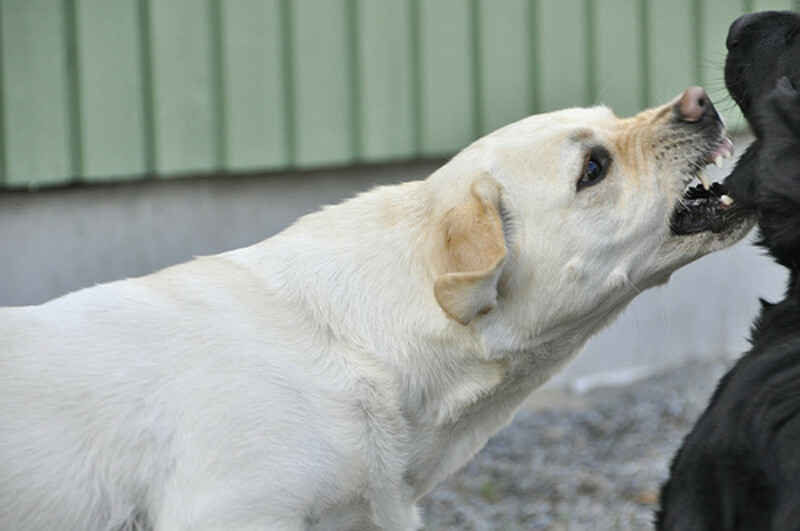 In this article, we will address the role of genetics in dog aggression. Yes, it's true that the environment plays an important role, but it's also true that there are many genetic factors at play and that genes do and will continue to influence behavior. The topic is quite complex and will remain a subject of controversy; however, we are not here to provide an answer to the popular nature versus nurture debate, but to solely address the impact genetics have in dog behavior. We will take a look into how an aggressive dog can be created through selective breeding and why puppies attained from questionable sources may be genetically predisposed to fear and aggression. We will also look at how genetically based issues can be salvaged through experience with the correct approach and how it can influence future behaviors. It doesn't really take much to create an aggressive dog. 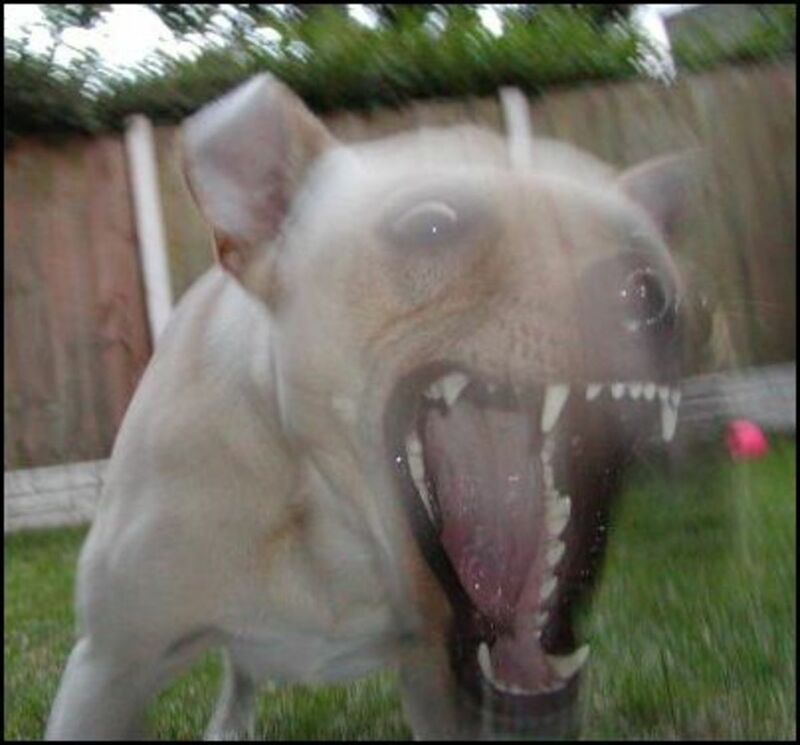 All you would have to do is start selectively breeding dogs who appear to be the most aggressive. Humans are masters in selective breeding. Indeed, it is thanks to century-old efforts of humankind that we are blessed today with more than 300 dog breeds of different shapes, sizes, colors and temperaments. How do you think your dachshund got his long back? How do your think your Rottweiler got his black and tan markings? How do you think your working border collie got his innate desire to herd? 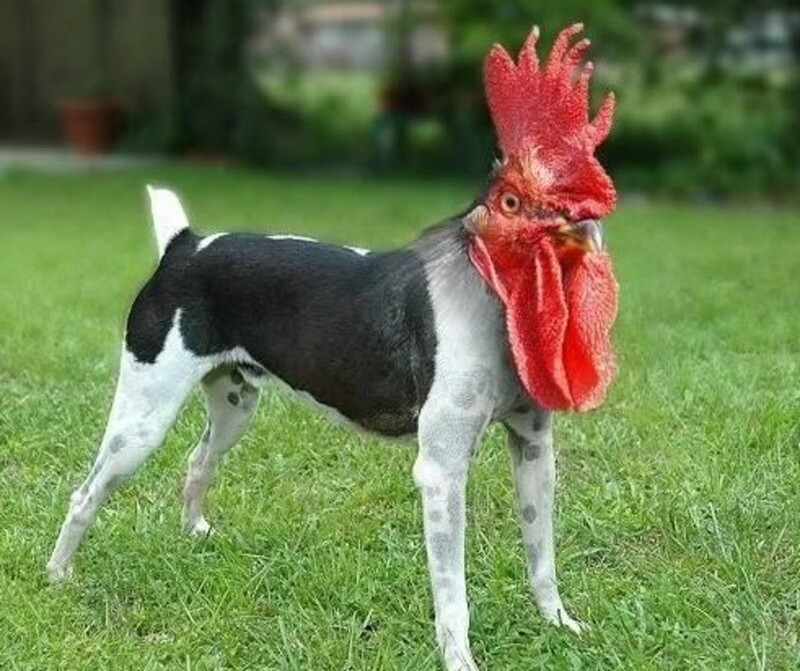 Thank selective breeding for the qualities you cherish in your purebred dog. Just as Soviet scientist Dmitry Belyaev started selectively breeding foxes for tameness in the famous 'silver fox' experiment in the late 1950's at his Institute of Cytology and Genetics (ICG) in Novosibirsk, Russia, you could selectively breed for aggression by selecting the most aggressive dogs and discarding the most docile ones from the breeding pool. Soon, in a relatively short time, you would end up with litters of highly aggressive dogs. According to James O' Heare, "Genetics can easily influence the structure and function of a brain which can contribute to the heightening or lowering of thresholds that affect aggressive behavior. Proper management of critical periods of development is vital, but the first step is genetic." It's not surprising to learn that nowadays, the production line for aggressive dogs is still open. Some breeders are --knowingly or unknowingly, promulgating the aggressive gene allowing it to spread and cause turmoil. Anybody who breeds dogs without looking at the temperament of both dam and stud are accomplices to the astounding number of dogs lacking soundness. By the hands of backyard breeders, puppy mills, pet stores and people who allow an accidental breeding to take place, the genes for aggression are often allowed to spread and even be passed on to future generations. Often this is not done purposely; breeders are often breeding dogs mostly with looks in mind and little attention to temperament. The topic of ensuring genetic soundness, generation after generation, is something all breeders should be familiar with, but unfortunately they are often not. I used to live in rural Missouri several months ago, in an area where unfortunately breeding dogs was normal as planting fruits and veggies in a yard. A child approached me one day as I was walking and asked if she could pet my dog, and as we spoke, her off leash Sharpei came running from a distance and went straight to lunge and attack my dog which was in a play bow position. I wasn't much surprised as I knew for a fact that some undersocialized Chinese Sharpei can be predisposed to being dog aggressive. As her mom called the dog away, and I took my dog to safety, her mom explained that this Sharpei was genetically aggressive and that she had a litter of puppies not too long ago that had to be put down because they were giving signs of aggression from a very early age. Luckily, this issue was solved humanely and the pups weren't allowed to go to homes with their troubled temperaments and allowed to procreate. How can the chances for genetically-based aggression be reduced in dogs? Interestingly, veterinarian, animal behaviorist, and dog trainer Ian Dunbar claimed at a conference that in order to reduce the chances for aggression in dogs perhaps " dogs should not be bred until they are 10 years old." As this may sound odd and of course is not the recommended age to breed, it gives you the idea of the importance of allowing time to determine more accurately the dog's temperament. Perhaps, a better approach would be to simply not breed at all, if you don't know what you are doing! Following are some tips on how to reduce the incidence of genetically-based aggression. In this case, you want a breeder whose goal is to produce a healthy body in a sound mind. While OFA certifications and CERF exam results are very important, don't underestimate the importance of selectively breeding for a good temperament. Ask for references from previous people who have purchased puppies from this breeder. Ask to see the parents of the puppy if both are on site and watch for signs of reactivity/ defensiveness. 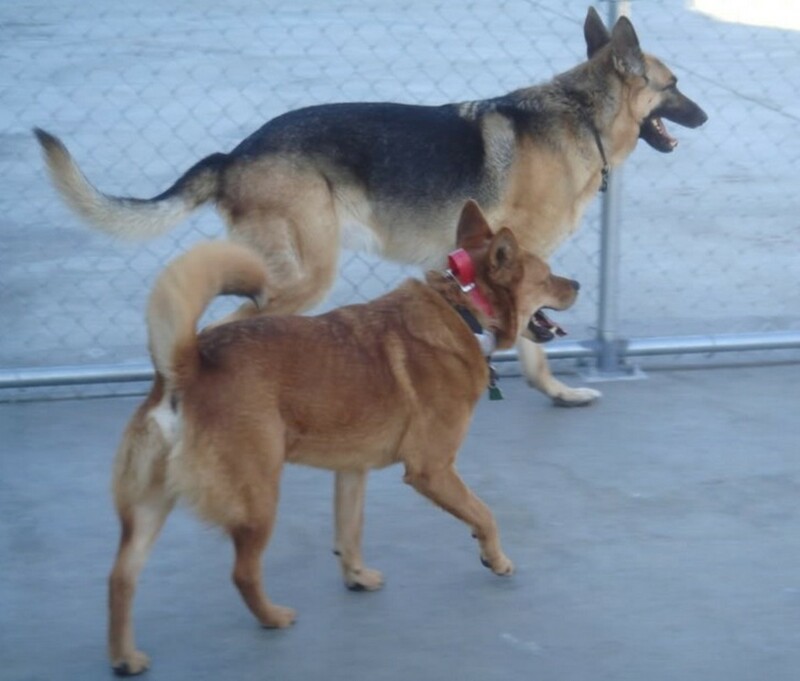 Inquire about Canine Good Citizen testing or ATTS temperament testing. Do the puppies have social drive? At what age is the breeder sending the puppies home? Has the breeder socialized them and systematically exposed them to novel stimuli? What's the breeder's policy should you be unhappy about the pup's temperament in the near future? Let's be honest here. Several types of dogs may not suit your family especially if your home is inhabited by boisterous children, your family is prone to loud, daily outbursts of activity and the household is flooded with the turmoil of ongoing kinetic energy. Some breeds of dogs have lower thresholds and can't withstand excessive stress and frustration overtime. Some dogs are genetically predisposed to being feisty, reactive, dog aggressive or suspicious of strangers. Yet, these same dogs may thrive in the right home and yet, within a breed there can be variances. Yes, it's true that no generalizations can be made, but it's also true that not all breeds are created equal and some of them may not be your perfect fit. If you want a social dog to take to the dog park, make sure you skip breeds who are notorious for being dog aggressive. Please conduct your research carefully before committing to a dog with high expectations. A recent study that appears in the Journal of the American Veterinary Medical Association has conducted research on puppies obtained from pet stores. The findings were that quoted "dogs obtained as puppies from pet stores had significantly greater aggression toward human family members, unfamiliar people, and other dogs; greater fear of other dogs and nonsocial stimuli; and greater separation-related problems and house soiling." A great amount of puppies that come from pet stores, come from puppy mills. While for a good part these pups' aggressive tendencies were likely the result of inadequate early socialization, one must also consider that these pups were bred and raised as Stanley Coren claims " in the same way that farmers rear chickens to be used for food." While it's true that there's no magic pill that can erase once and for all a genetic tendency for being reactive, it's also true that much can be done to override up to certain extent certain tendencies. Puppies must be socialized and exposed to a vast array of stimuli by the time they are 16 weeks old. This systematic approach can help avoid problems later once the puppy has grown. Ian Dunbar wrote " a spoonful of prevention is worth truckloads of cure". Lack of socialization during the critical stage of development along with genetic predisposition for fear and aggression are a recipe for disaster. If you miss this critical stage, your dog is more at risk for developing fear-based aggression. While training and socialization will not change your dog's genetic material, it will definitely help attain more confidence and better control. So your dog has behavioral problems and you're worried he may never get over them? Ask for help! There are many behavior modification techniques that can help your dog develop better coping skills. You may also want to learn how to better manage your dog so to prevent him from rehearsing unwanted behaviors. In this case, you may want to consult with a highly qualified dog behavioral professional such as a board-certified veterinary behaviorist or certified applied animal behaviorist. At times, medications along with behavior modification may help your dog live more comfortably and be less "over the edge." Alexadry,© all rights reserved, do not copy. Owning dogs provides many benefits and studies also suggest that positive social interactions increase the levels of oxytocin in dogs and humans. Another reason to reap the rewards of dog ownership. Learn how dogs evolved from wolves. Theories of how dogs were domesticated and what behaviors wolves and dogs have in common. How dd the wolf shift into the dog? How were dogs domesticated? Farm fox experiments shed some light on the what may have possibly happened. Are dogs hunters or scavengers? Canis lupus familiaris, in other words, the domestic dog, has surely changed his habits after his encounter with humans. What causes barking in dogs? Is it in the dog's nature or environment? Is there a gene for barking? Learn which breeds are more likely to sound the alarm and what stimuli are known to trigger bouts of barking. Thanks for stopping by and the votes up epbooks. The importance of early socialization can never be emphasized enough! Very useful and informative article. 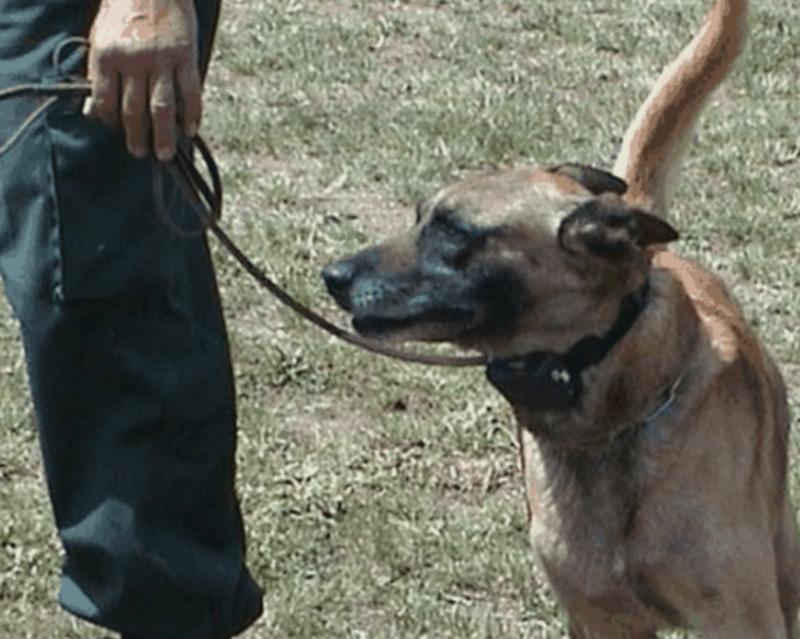 Training and socializing are so important, even in non-aggressive dogs. Getting them used to every circumstance helps them mentally in that they are afraid of less noises or things and that they will get along with people, dogs, children, etc. Voted up! Thanks for the votes up and shares. As an owner of two Rottweilers who love people including the mailman, I can attest that for a great part it's about how dogs are raised. It's funny how a while back I had to work on a Lab with issues and I had to tell people to not approach as the lab was "in training. :" I told them "I am sure the Rotties behind me though would love some attention " referring to my hubby who was walking them several feet behind. Never did they go pet my dogs, they rather walk the other side! Oh well! This is a very good article on understanding the role genetics play in the temperaments of dogs. Though some dogs have a predisposition for aggression, it is possible for an aggressive prone dog to become very gentle, lovable, and docile if raised in an environment that fosters those qualities. I have two of the sweetest, most gentle, and people loving American Pit Bull Terriers in the world. The breeder selectively breeds these dogs and they all, according to him, are gentle giants. People looking to buy certain dogs need to check out their genetic history as it relates to diseases, life span, and aggressiveness. Voted up and shared.